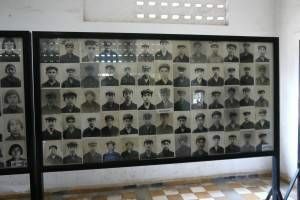 It is the faces that haunt me; the faces in the rows of black and white photographs hung throughout S21 prison. 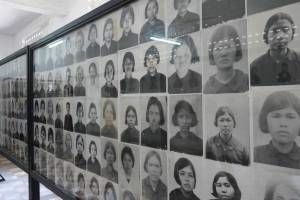 Almost all the people in those pictures, whether young or old, male or female, were tortured and starved in the prison before being sent to the killing fields to be executed. I was horribly mesmerised by those faces and their expressions; while some people wore their terror so visibly, others looked merely stunned, or angry and defiant – many were simply blank and devoid of emotion. I am haunted by the thought of what happened to those people; did they know when those pictures were taken that they’d been sentenced to death? It is not easy to look at the faces of those Cambodian people and in doing so, confront the genocide perpetrated by Pol Pot and the Khmer Rouge almost forty years ago. I believe, however, that those people deserve to be looked at and remembered – it is our duty to acknowledge such atrocities and analyse how they happened if we are to prevent them in the future. 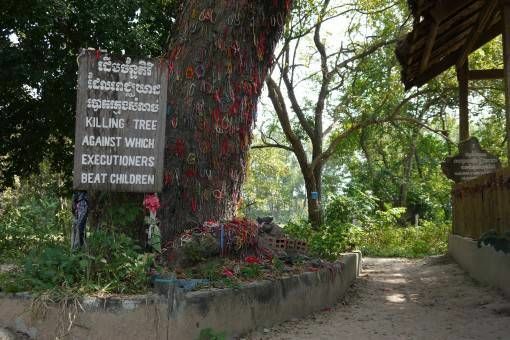 That is why Andrew and I made the effort to visit both S21 prison and the Killing Fields during our trip to Cambodia. 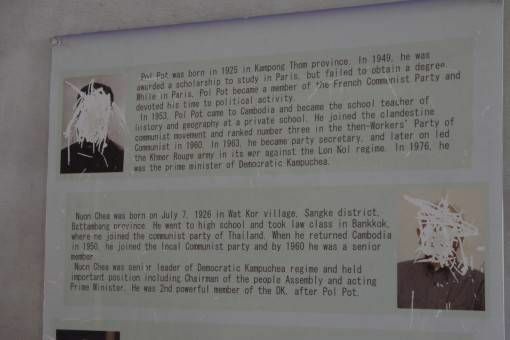 The facts of the Cambodian genocide are now well known; in 1975 Pol Pot took charge of Cambodia, built up his army of Khmer Rouge soldiers and enforced his extreme version of Mao (Chinese) communism on the country. 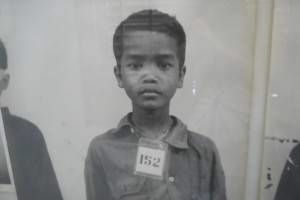 This involved forcibly relocating the population into the countryside to work on starvation rations as slaves farming the land, under constant threat of beatings and torture from Khmer Rouge guards. This, Pol Pot believed, would make Cambodia self-sufficient, freeing the country from western control. Cambodian society was completely deconstructed; families were dispersed and placed into separate work camps, all forms of religion, culture and tradition were destroyed – temples were desiccated. Anyone deemed a threat to the regime was killed; from engineers, former government employees, police and military personnel to doctors, academics, lawyers, and teachers – in fact anyone who could read or wore glasses. By the end of Pol Pot’s three-year reign when the Vietnamese took control, up to three million people had been killed and Cambodia was left in economic ruin. 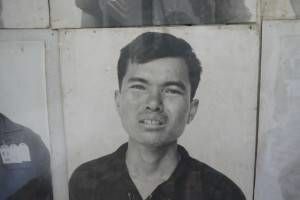 For many victims, the journey to the Killing Fields of Choeung Ek began at Security 21 (S21) Prison, a former school building located 17km away in Phnom Penh. 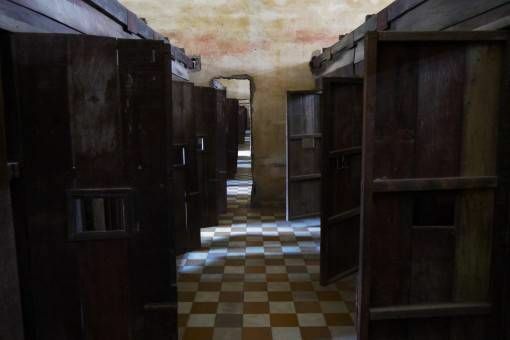 The prison was one of 150 execution centres set up around the country to torture, imprison and execute people, many of whom used to work for the former Cambodian government. Often whole families, including children and the elderly, were incarcerated, starved and tortured into making false confessions and accusations before being killed. It’s estimated that between 14,000 and 20,000 people were taken to S21 – only seven of those are known to have survived. 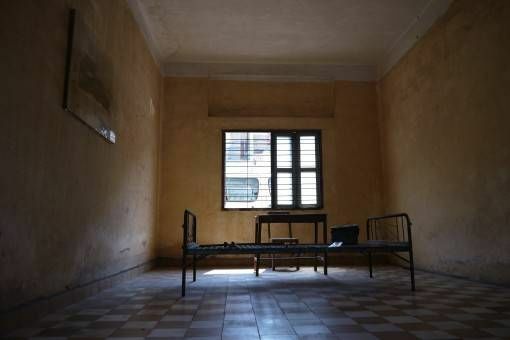 Nowadays, S21 is known as the Tuol Sleng Genocide Museum and many of the chilling photographs of prisoners are displayed in the very rooms where they were tortured and held. In other parts of the museum original cells constructed by the guards are still intact and you can walk among them; in the grassy courtyard, former school gym equipment was used to hang people from. We spent hours at the museum walking through the cells and looking at photographs of the victims, trying to fathom the unfathomable: how could one set of human beings do this to another? 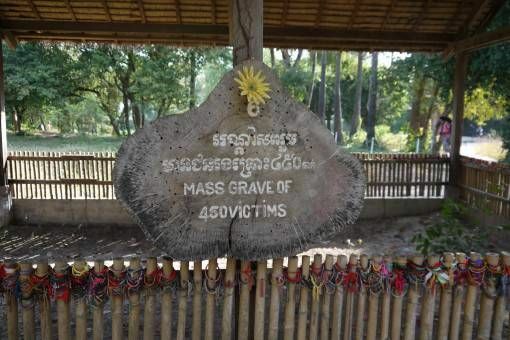 In the middle of the night, many prisoners from S21 were loaded into trucks and taken on their final journey to the Choeung Ek Killing Fields, which was a former Chinese cemetery. Here, they were unloaded and unceremoniously clubbed to death in order to save bullets; their bodies thrown into mass graves. Visiting the site is a harrowing experience. The excellent – but distressing – audio guide we listened to really brought the true brutality of what happened there to life. At first glance the grounds look green and undisturbed, until you spot fragments of bone and clothing poking through the paths; reminders of the bodies that lie beneath the surface. 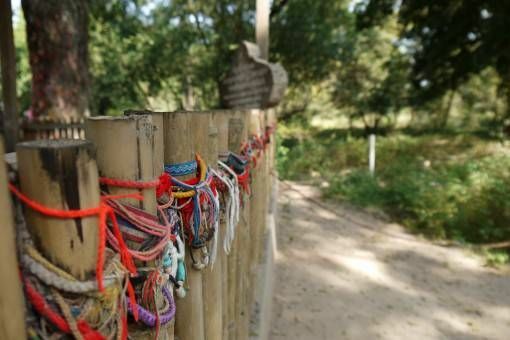 We paused by numerous mass graves, marked by the thousands of friendship bracelets left to commemorate the dead and the ‘Killing Tree’ which soldiers used to bash babies against, before tossing them into the graves. 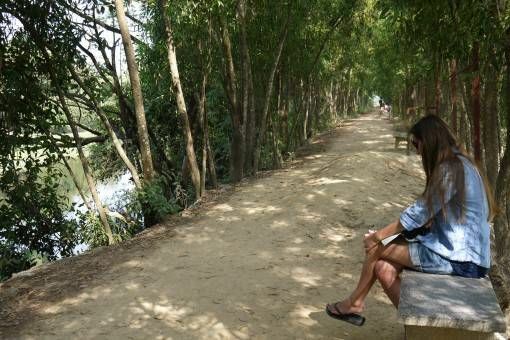 For a while we sat by the lake listening to haunting musical compositions about the genocide and survivor accounts; the woman who was raped by a Khmer Rouge soldier, the boy who saw his relatives killed and ended up in a child labour camp. The most haunting part of the tour was hearing the noises those sent to the fields would have heard before they died; revolutionary songs to drown out the screams and the whir of diesel engines used to power fluorescent lights. Before leaving the Killing Fields we made a final stop at the memorial stupa, which is full of human bones, to pay our respects to all the millions of Cambodians who died throughout the Khmer Rouge era. The physical and mental scars of genocide are still painfully visible in Cambodia today. Poverty abounds and you cannot help but notice that there’s a generation of older people missing from society. 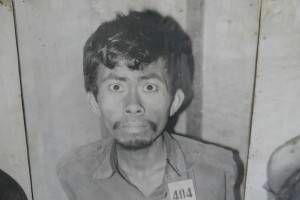 Given that only a handful of Khmer Rouge leaders have been tried and imprisoned for their part in the genocide, including Kang Kek Lew who ran S21, there’s also a lot of anger. Many photos of the guards at the prison had been scrubbed out or the words ‘Killer’ inscribed on them. Pol Pot himself died in 1998 without having to answer for his crimes – how can the country heal from that? I was also shocked to learn that after the genocide the UK, America and other western countries offered the Khmer Rouge military and financial support after the Vietnamese communists took over Cambodia, even recognising Pol Pot’s regime with a seat on the UN. This raises questions for me yet again about the wars western Governments choose to fight and support and those which they choose to condemn or simply ignore. 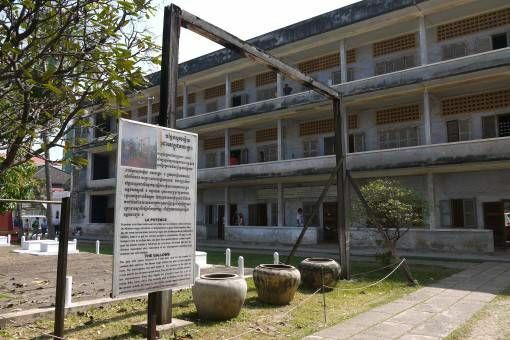 Sources and further reading: The Tuol Sleng Genocide Museum, The Killing Fields, First They Killed my Father by Luong Ung, Cambodia Tribunal Monitor, When the War Was Over by Elizabeth Becker, World Without Genocide. 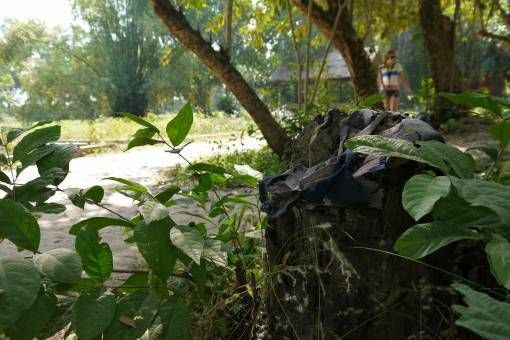 We also felt it was important during our time in Cambodia to spend some time learning about the atrocities that were perpetrated there and to also honor some of the people who had lost their lives during the rule of the Khmer Rouge. 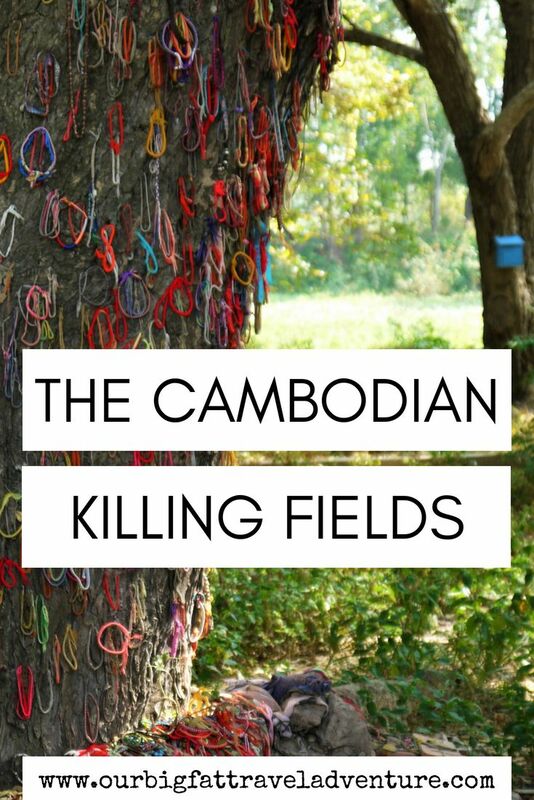 Although we intended to visit but S21 and the Killing Fields, we wound up only making it to S21—I just found it so unbearably sad and depressing that I felt I couldn’t go to the fields proper, and I wasn’t sure that a visit there would really add to what we had already learned and witnessed. I felt, in many ways, that S21 was the most horrific site of the two, not only because plenty of people were executed there, but because that a school, a place of education and higher learning, was turned into such a monstrous place. Standing there, I really felt that it was the site of a crossroads for the country—it’s incredible to think of what Cambodia might be today if Pol Pot had never come to power. 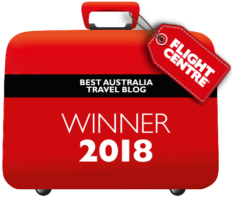 Thanks so much for that compliment Steph, it means a lot 🙂 I had a really emotional time travelling in Cambodia and I think my posts are reflecting that, however I also found the people we met were so lovely and positive so it was an uplifting experience too. I can totally understand why you couldn’t face the Killing Fields, a visit to S21 is harrowing enough. You’re right, it is incredible to imagine what Cambodia could have been toady had Pol Pot not come to power. I think this is one of the best posts you’ve written, Amy, and one of my favourites to read despite the harrowing subject matter. Your words took me back to when I visited Tuol Sleng Genocide Museum, reminded me of just how hard it was to face and fathom the events of the past. But you’re right, places like the museum and the killing fields (which I’ve not yet been to) should be visited, regardless of how hard it is to. Thanks so much Charlie, it was a difficult post to write. I’m glad that so many people take the time to learn about Cambodia’s past, it’s difficult but important. Such a disturbing but moving post. How can people do this to each other? 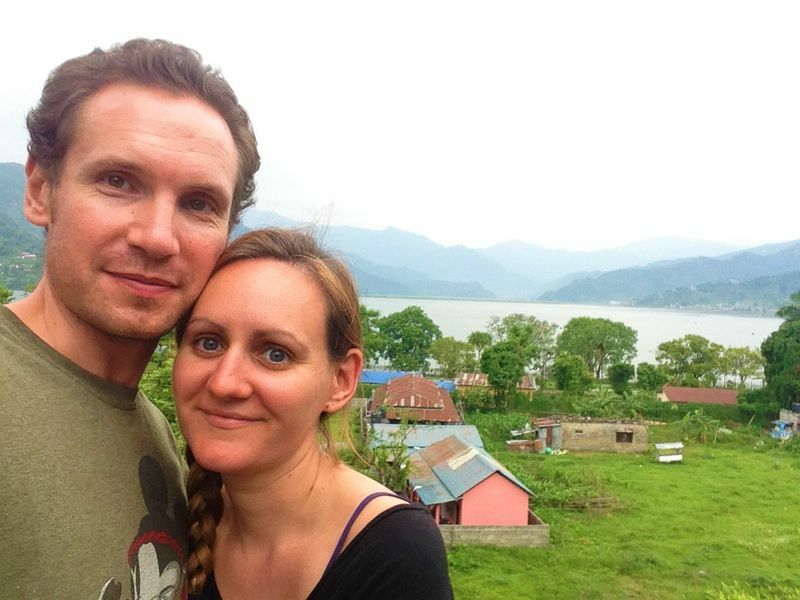 Thank you for sharing your thoughts and emotions about this site, and for teaching me more about Cambodia’s history. Hi Kendra, thank you for reading and commenting. 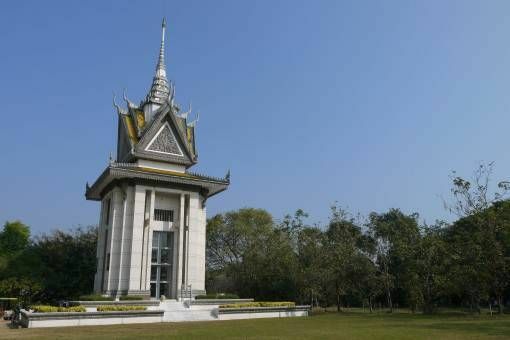 It was difficult to visit the Killing Fields and S21 but I’m so glad we did, we learned so much from the experience. I see you were as moved as we were by what we saw there. Having visited other sites of genocide in Europe, Africa, etc., it is still always a shock to the system to realize such atrocities occurred, all while the world stood by and watched. It has been 6 years now, since we’ve been to S21, and I still occasionally dream of one particular little girls face. I’m a bit haunted by all of it, but for some reason she visits me in my dreams. Such a sad, sad place, but I’m always hopeful (doubtful?) the world will continue to learn from the lessons of the past. Hi Rhonda, it is such a sad place and I can see why you still dream about it; those faces will never leave me either. One of the most disturbing aspects for me was that fact that other countries stood by and let it happen – that is beyond shocking. I will travel to Cambodia next year. Thanks for your post. The truth that when I see your pics, I feel cool and I really want to go there now. I am curious about Cambodia’s history. We would definitely recommend going there, thanks again for your comment.